I have believed all my life that I can achieve my dreams. It just seems I kept getting in my own way and the dreams I had were always deferred. Deferred because I had a son at 17 because I married at 17 and divorced at 29 because I was the sole provider for my son. Through it all, I never gave up on my dreams, I just kept recalculating how. How do I support my son and finish school? How do I work and work on my dream? Born in Chicago, I always wanted to live in San Francisco and Paris. But how do you do that when you’re married to someone who has no desire to live Chicago. Then, after divorce how do you do that when you have a son to care for. First I fought to make sure I received child support, then one day I made a call to a friend in San Francisco and said I was moving HERE. Its now 31 years later, next week my son will be 45 years old and I have lived between San Francisco and a rental apartment in Paris for over 9 years. The best advice I received that supported me on this incredible journey was from my father the day the movers came and emptied out my apartment in Chicago. I was on my way to life in San Francisco, no job, no place to live, my son with my ex-mother-in-law until I worked it all out. I was scared and started to cry at the enormity of what I was doing so I call my dad. He said “If it doesn’t scare you it’s not worth doing! Do you get scared when you brush your teeth in the morning?” I stopped crying and with every risk I have taken since, his voice resonates through my head. I am now in the process of my next great journey. I am a consultant to keep a roof over my head while I write the next “Great Gatsby”. I WILL move to Paris permanently by my 65 birthday. I have travelled to Portugal, Spain, Africa, Canada, France, Italy, Switzerland, and I will add even more adventures which require I am healthy with the energy and ability to travel. So, I am working on my health and physical fitness. Two women – Ernestine Shephard, and Tina Turner, our my examples of a healthy life throughout my 70’s and 80’s. I want to experience every day with joy!!! Age 22 – 24: Worked with international students for a christian charity in Brussels. Age 24 – 25: Admin for a mental health charity in London. Age 25 – 26: Trained as an English teacher and began teaching. By 30 I was Head of English. Age 33: Moved to Australia. Had to re-submit qualifications and work as straight teacher for a year. Moved back into leadership for three years. Age 37 – 44: Kids. Worked part time. Tutoring, working in tafe (polytechnic). Volunteering as toy library president, publicity, fundraising with kinder (pre-school). Spent a lot of time writing poetry and performing in gigs. Had poetry published. Age 44 – 50: One year in a private school four days a week. Moved into Leadership role that have now. Now feeling that the job has become more data orientated and analytical than I like. Also very stressful and intense. I also feel that schools need to change and become more personalised and student focused and less hierarchical. I want to be able to focus more on my artistic side. I am not sure where I am going at the moment! Thinking of stepping back into just teaching. May even go part time. Born in England at the start of WW2, adopted, living near London. Apprenticed at 17 as Student engineer, migrated to Australia 1965 with wife and child. Migrated to New Zealand 1976 and retired at age 65. My career covered a wide range of industries, progressing up the slippery ladder to senior management positions. Apart from being self employed at various times, I suppose my highest position was of Hospital Director and Director of Personnel for a major hospital board. Retirement was the hardest job I’ve undertaken, but now I am busy re-inventing myself while learning new skills. I recognise and accept the future certainty of change, and am confident that time I have invested gaining self knowledge and working on my intangible assets will equip me to deal with the uncertainties of life in the next 20 years. I believe I have learnt to avoid unnecessary stress, and endeavour to live a healthy lifestyle. The best thing I have ever done is to completely alternate the Activities of Daily Living with my wife. We change duties every fortnight at the same time our pension is due. This means I get to buy whatever is needed to feed both of us in accordance with the menu I draw up and cook, while my wife carries out the other duties including cleaning, laundry etc. In this way we have equally shared responsibility and opportunity. I believe that 99% of the conflict between men and women is the result of inequality in all respects. 3) if you think you will do your own business beyond retirement age or make a career/ life transformation at some point – you will have to prepare yourself and test out those theory in a controlled scale. So I am now getting prepared to leave to leave a company that I feel their business practice and behavior towards employees are no longer aligned with my personal values. After a much needed break, I will likely setup my own company. I have no clue whether I am going to be successful, I only know if I don’t start planning for my future, I am only going to get stuck with limited options one day. spent 20 years building it up from scratch (pardon the pun). listening to the radio. He never once did anything new or exciting. That’s not me, and it never will be. 25 year international career worked in HR & Business for great Canadian companies CAE Electronics, BNR, Nortel and lastly SVP HR at CIBC. Re-structured at age 51 from CIBC. Re-invented self as HR consultant/ part owner in small business selling HR. Taught me how to be entrepreneur. After 8 years was hired by 100 person private environmental engineering firm (age 59) as Director Corporate Services and love the role. With my experience and passion I can truly see how I make a difference in the culture. Partnership between self CEO and board phenomenally strong and honestly I have no intentions of retiring soon. Over the past 10 years worked diligently at expanding my network, chaired professional association, and other social volunteering. Stay fit competitive swimmer and cyclist. It’s nearly 3 years since I graduated from university with entrepreneurial dreams. I wanted to create an online media company for young and aspiring entrepreneurs. It was called Getting Off The Bench. What I had experienced at university fascinated me. During the first term of first year, a master’s student from Columbia gave a talk on ‘Enterprise societies’. It was where we could come together, hold talks on entrepreneurship, create businesses and go on talks and visits. I didn’t know exactly how I would be involved – I just knew I was in. The whole concept of creating your own future fascinated me. The previous year I had left Nottingham Trent University after failing first year. After being depressed I began to read biographies and personal development books. I thought that experience was the end for me – who would hire me and what would I do. Through reading these books I saw people who went through difficult experiences and created there life from that. It took a vision and belief. So after returning to university (Essex) and joining the enterprise society, I took over as President the following year. And we had an amazing time, running our events, going to inspirational talks in London, pitching at startup competitions in Germany, winning awards. Just a group of students who wanted to create our experience and do things we cared about. So I spurned the traditional graduate scheme path. I didn’t even look to be honest. I was going to become a content creator, make money from that somehow and live happily ever after. Now it didn’t quite down exactly like that. I got an internship at London Real, now one of the largest podcasts in the UK and worked closely with the host on getting interviews and promoting the show. At this time I won a competition for office space for Getting Off The Bench and launched the podcast. I didn’t really know what I was doing. And I was in a rush. I was trying to impress people, to prove a point. After that experience I was aware that something was holding me back. I had beliefs and a certain way of being that led to these results. And that is where I discovered a personal development course for young people through the WhatIf Academy in January 2015. And it was through that course and the community of friends I made there I began to discover who I am – and what beliefs I have that hold me back. I spent the next year in various personal development groups and courses…..exploring myself and what I cared about became a full time job! And I realized……what is this rush that I’m in? I’m in this game for life. I have that certainty I will always be creating and there’s a level of mastery I am seeking. So my strategy has changed. These 3 years since graduation have been my apprenticeship in life. So I am searching for a new job. Somewhere I can learn more about personal transformation and utilise the skills I have acquired to make a difference. The people that I admire – writers, entrepreneur’s, artists – there journey has been one of years of experiences, creation and development. Thus I am glad I have chosen this path and rode this rollercoaster. Because as important as money is, the perspective I am developing is invaluable. You can find out more about the journey at www.dubemmenakaya.com. By current estimates, I have yet to reach the half-point of my life. By my own family’s longevity, this also seems like it could be an accurate lifetime for me (without wanting to tempt fate, I certainly hope to live a long and happy life). And yet, in my professional life, I seem to have behaved the way millennials are often described – I started work immediately after A-levels, went to university 3 years later when my career as a journalist started to take shape; once a graduate, I changed course and trained to become a lawyer. By the time I qualified as an English solicitor, I had already worked, studied, re-qualified and worked some more for about 12 years in total. I then took another turn and became an entrepreneur. Just over 5 years ago I founded Obelisk, a business centred on helping women/ parents to work at that most crucial stage – that of bringing up young families; at this time in one’s life, being able to earn flexibly around your commitments can make a huge difference to the quality of life. Whilst we all treasure financial security, we also put our children’s future and emotional security at the centre of everything we do. So being able to remain economically active at this moment in your work life is pretty important – not only because it allows you to continue to provide financially for the family, but it allows more involvement with the children development. Whilst Obelisk and my own young family are now taking much of my time, who knows what the next stage in my work life will bring. I certainly have many ideas and things I plan to do and new turns to take. I never thought career and life should be separated. In my view, a career is merely a collection of jobs accumulated through one’s life, each enriching you through the new skills and perspective gained in the earlier jobs. 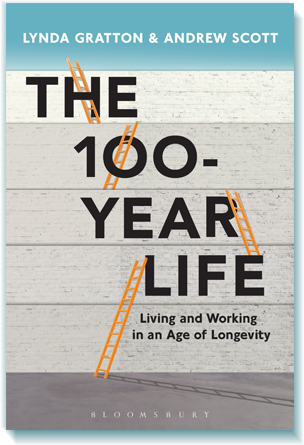 So to be looking at a longer life is a gift to be used to learn, adapt, evolve – I suppose, a way of remembering to stay human. As a woman, starting my career in the late 1960’s, I followed the traditional route for an English major and became a teacher. I knew I wanted to “be in business”, but my counsellor told me that “Women in business became witches on wheels” – traditional “wisdom” at the time. I had access to few business mentors, and vowed if I ever succeeded in business, I would be one, and I am: I became a CEO; I now have a portfolio career, and I mentor younger women. One of the things I tell these young women is that my career is a lot like looking back up a ski slope. From the bottom, it looks like all my turns were linked, my path was predetermined, and that the bumps could be avoided. But of course, that is not the way that it looked from the top. Skiing makes us lean forward, and be a bit aggressive, take an occasional leap, and one assumes that we will be in one piece at the bottom. I have lived by that. I have always tried to “say yes at the door.” I even said I played golf when I didn’t, in order to ace an interview for a corporate board. Saying “yes at the door” became a metaphor for my life and career. Women can use this to test themselves. We can do much more than we think: Just doing it is the key. The highest hurdle for me was breaking the glass ceiling, in a male-dominated industry, to become a company CEO here in California. This was made more difficult with raising my son at the same time, but I did it (and successfully too): I don’t think I fully appreciated how pioneering that was at the time. I then set up and ran my own business for a number of years, before realizing that I had “done” a full-time career and wanted to move on and broaden my horizons. A portfolio career suited my many interests, the transatlantic lifestyle I share with my husband who was himself a UK-based CEO and now a Chairman; to stay close to my son, and to allow me to fulfil my ambition to “give back”. So I joined the Boards of US and Australian public and privately-held corporations; became active in a number of philanthropic endeavors including chairing not-for-profit boards, and am also active at the University of California, being a member of a number of faculty business, law and medical school boards, chairing the CEO Roundtable, and becoming a Trustee of the University. I am probably even more active now than I ever was when I worked “full time”, and it is tremendously fulfilling, I get to do what I really want, and I have (mostly!) control over my time. I have survived serious health bumps, and I have successfully travelled many roads since that first teaching job. I will be seventy this year; I still ski, and I don’t believe in retiring. Just morphing, and I hope to morph into my 100th year. At some point I will progressively wind down, but the morphing process will continue. My advice to anyone is to do your maintenance on body, mind and soul, so that the next run down the ski slope is as exciting as the first. Keep taking leaps and moving forward. There is still a lot of territory to cover! This summer I reach my threescore years and ten but my life to date and my thinking is so different to that of my parents’ journey at this stage and, indeed, that of many of my peers. I am fortunate to have had good health, energy, love and support along the way, but this all needs regular investment to help it all flourish. I have lived by the challenge I give to others ‘know yourself, be yourself and look after yourself’ and keep on doing this, including being insatiably curious, reflective, resilient and ready to seize opportunities. I like to think of achieving ‘life balance’ across everything. I find sometimes I can be most alive when I am ‘working’. I am now a truly cross sector leader having moved on recently to solely non-executive roles after 25 years as a ‘chief exec’. I am engaged with the boards of a bank, a business school and a skills academy and I contribute advice for an orchestra, government and charities. I have every intention of continuing to enjoy the privilege of this active life! Looking back, I know that I wanted to make a difference and help to put right some of the injustices in the world. I have found some of my greatest rewards in satisfying my hunger to learn and to nurture other people. There have been some unexpected events and I have taken some flying leaps, but there never was a plan for this. My journey has been like a pyramid with the levels wide as I progressed, allowing different directions and ‘tops’ to be possible, always staying open to jumps as well as steps. For example, I took eight years as a full-time mother of four young sons with an often absentee husband travelling on business. This was a rewarding management and personal resilience building experience from which I still thrive. My direct leadership experience has mostly been in schools and charities but I have always engaged actively with senior execs in business, education and the wider public sector including government. This breadth of engagement continues to be of huge value as I can move fluently around the sectors, including some days several times a day. I find this shifting and ‘boundary hopping’ hugely stimulating personally as I keep learning something new. Repeatedly too I find new connections and opportunities to bring the different parts of my life together. One challenge I have discovered is how to keep the right balance of what I call ‘head space’. Some of the commitments I have are episodic with gaps of time between them so I can switch in and out, depending on others to keep me briefed as needed. But other responsibilities require my continuous attention so I can be in touch with relevant issues, ideas and opportunities. Effective leaders, including non-executive directors, are alert to context, both in and for the immediate organisation, across the bigger picture and in anticipation of the future. The antennae to pick up on this do need to be constantly switched on. I only take on a new commitment if I am satisfied I can do it well and give it the right time and energy. I have declined to do some roles on the basis on not having sufficient head space at that stage to do the necessary induction, learning and ongoing daily attention. This is one of the keys I have found in trying to have a balanced portfolio of commitments. I try to allow some space too, as events do take over and there will always be some weeks that become 24/7 just to fit it all in and meet the parallel deadlines. In achieving my ‘life balance’ I have benefited from some inspirational mentors and friends along the way and great support too. With my continuing passion to nurture and grow people around me I hope I can continue to do some of the same for others myself. I became a father at 35 and my newly born son immediately sat in a rather empty field of responsibility in my life. Up until that point I had consciously avoided a pension, savings, mortgage and marriage. I always felt I had plenty of time. I had in fact challenged myself to become sufficiently successful in business to negate the need to siphon off whatever money I had at that time into a pension, justifying my choice to use those funds to enrich the fast and loose lifestyle I lived at that time. Ultimately I had left it so late that this was actually my only option of potentially providing for my older self. When my son was 2 years old I left a 15-year career organising music events to embark on a journey that would see my new business Street Feast be at the forefront of a new night-market culture in London. I’d been looking for a new challenge for quite some time. In the latter years of organising music events, while watching my customers, I wondered why many of them, particularly those in their 30s like myself, were still out. Couldn’t they find what they were getting here anywhere else in society? Obviously the highs of a dance floor are unique; however there was clearly a lack of regular opportunities for congregating en masse in this manner, that wasn’t accompanied by a thumping bass line. Street Feast changed this. While essentially a food market, its success also owes something to being an opportunity to socialise in large groups, with a freedom not afforded in a restaurant or a pub, which appealed not only to foodies but also to aging clubbers, non-music fans, and a younger post-rave generation. One of the biggest successes for me in launching Street Feast is seeing so many people in their 30s, former accountants, media buyers, town planners, all with a love of food, leaving the security of their day job, and taking the plunge not just to be their own boss, but to be involved everyday with their passion, food. I’ve seen so many of them not only enjoy working in food, but also being part of a supportive community, and thriving, opening restaurants, writing books, and appearing on TV, wonderful new chapters in their lives which once would have been just a dream. Just as so many of these food traders are now running their own businesses centred on their passions and interest, Street Feast has afforded me the opportunity to do the same. Just as I spent time watching people in clubs, wondering what else they might like to do, I’ve also been doing this at Street Feast. What I’ve noticed is that while for some the culinary and social experience that night markets like Street Feast offer is sufficient, there are those who are itching for more. I am now about to open a venue, which will add a defined cultural program across live music, theatre, and film, to a rich culinary and social experience. After four years of Street Feast and just working on food and drink, I can now commit to an endeavour that involves more of my personal interests, while continuing my work on the evolution of how we socialise. I’m 42 now, and my son is 7 years old. We spend every weekend together. I travel when I can, though never for more than a fortnight, because I don’t like to be away from him for too long. With the launch of the new business I see the next ten years as a new chapter, taking me into my 50s, and my son to the end of his secondary school education. At that point I can imagine I’ll be ready for a new challenge, or even quite possibly a break to reassess. I’ve lived in London my whole life, and I look forward to the day I have the personal freedom to be away for longer than a fortnight night and really immerse myself in another culture. That’s as far as I’m looking ahead. I’m still not making any plans for old age other than sticking to my original challenge to myself. However the landscape changes, whatever changes there are in society, I’ll keep watching and creating experiences I think that are right for that time, and also take us forward.